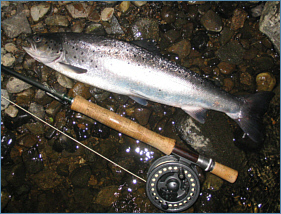 Most of the Island rivers have runs of sea trout, particularly on Skye and Mull, while the Western Isles offer loch fishing in a wild and wonderfully remote setting. Orkney and Shetland once offered reliable saltwater sea trout fishing, although numbers, like those on the west coast, have declined in recent years. The map below shows the main sea trout fishing areas on the Scottish Islands of Lewis and Harris, The Uists, Mull, Orkney and Shetland. Clicking on a green dot will take you to a page showing detailed maps of each area with additional information on the sea trout fishing available on the rivers and lochs of the Scottish Islands. 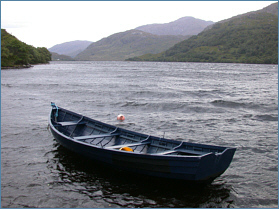 For more information on the sea trout fishing available on the rivers and lochs of the Scottish Islands, including detailed maps, please select a Scottish Island group by clicking on a green dot on the map or on a name name in the list to the right of the map.